Hot colors are the look for the summer. These hot looks are even more spicy with some flashes of flame colored amber. This season summer means bold colors. These colors are replicated in the natural hues of lemon, honey, cherry and green amber. According to the Elle.com, hot looks for summer include swaths of bright color accessorized mostly with gold hues. The golden warmth of amber is the on trend accessory for the fiery summer colors. Elle spots some trends including some “earthy” elements including wooden sandals and a safari dress look. These items would be teamed perfectly with a strong statement piece of amber. Elle also points to some more earthy elements including large beads to amp up your pool dress (amber beads or wooden beads would be perfect partners to keep you poolside chic). Ginnifer Goodwin in a smoldering hot ginger dress and statement amber necklace combination. In London, the summer 2011 look is all about “colors that pop!” according to the Telegraph.co.uk. One of the hottest colors as exhibited by Prada and other designers during Fashion Week is tangerine. Amber has the ability to bridge the two trends for Summer because it can be both earthy and colorful at the same time. Also amber captures the trend for large “statement jewelry” because it can be crafted in bold sizes and shapes. This new piece of amber is going to light the world on fire and steal your heart. This chunky piece of the highest quality amber is from the Baltic region. Because the amber is natural organic material created millions of years ago every piece is different and unique. Your Valentine- Nothing says love like the warmth of pure Baltic amber handcrafted by artisans into a romantic heart- score big with this big warm amber heart. Your Mom- Butter her up and quell (if only momentarily) those questions about what you have been “doing with your life” and about that “nice doctor boy whose mother lives down the street”… If she likes jewelry, amber, or has a heart… she will be touched by the gesture of giving her your heart in the warmth of natural amber. Your sister- you can probably make up for about 80% of the hair pulling and tattle tailing escapades of your youth with the simple purchase of this necklace… get the karma going in your direction! A (lucky) friend- with the gift of this necklace you have definitely gone on the nice list… think about how many tools you could barrow from your neighbor without returning if you give such a stellar gift.. it’s already paying for itself! The Graduate- An educated person will always appreciate the glow of warm honey amber. 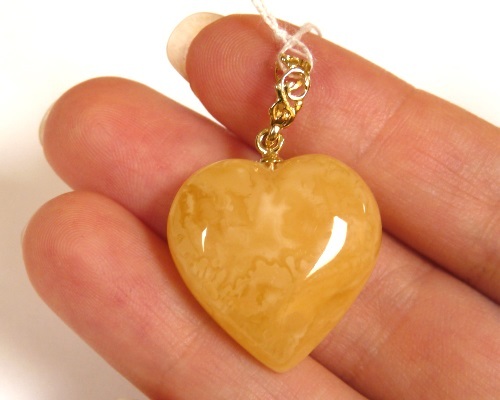 Show your graduate that you love her and that you have good taste with a large amber heart pendant! Enjoy your summer, keep your colors and your amber hot hot hot! 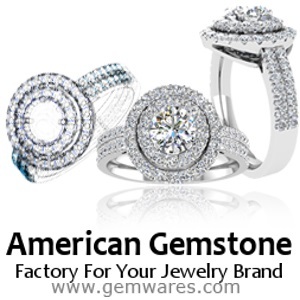 Signature Gems was started as a blog to document knowledge about buying gemstones and diamond jewelry. If you like the content here, feel free to bookmark it and check back for new updates.